Also called a dew shield, a lens shade is an essential accessory that protects your optical tube from excess moisture forming condensation on the corrector lens. 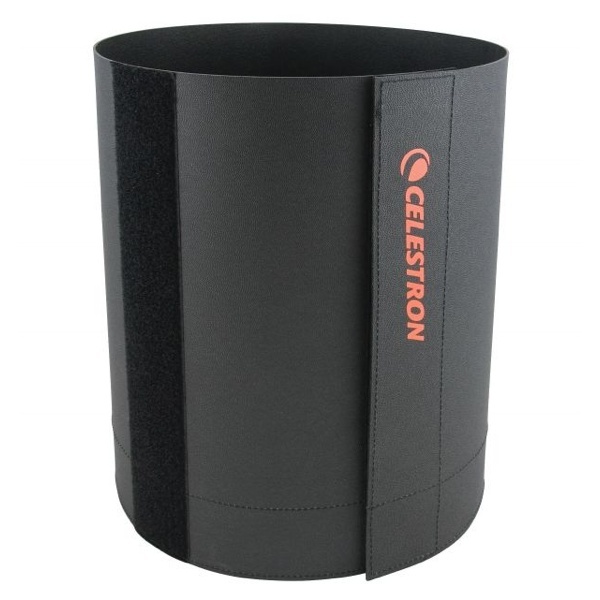 A lens shade also helps block out stray light outside the path of the telescope for better viewing and astroimaging. This versatile lens shade can accommodate both 6” and 8” Schmidt-Cassegrain optical tubes. Choose the outer Velcro strip for larger tubes and the inner strip for smaller tubes to customize your fit. Also compatible with the 8” EdgeHD optical tube.